by Mansour Mike Mohseni P.E., Project Manager, Bridge Design, Colorado DOT; Ken Saindon P.E., S.E., Project Manager, Atkins; Clint Krajnik P.E., S.E., Structural Engineer, Tsiouvaras Simmons Holderness. US 85 and State Highway 470 (C470) are regionally significant transportation corridors in the southwest Denver metropolitan area. 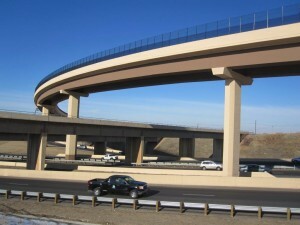 Built in 2011, the US 85 / C470 SB to EB Flyover Ramp was needed to address existing congestion and safety concerns during rush-hour traffic, existing operational and design deficiencies, and future additional capacity needs. 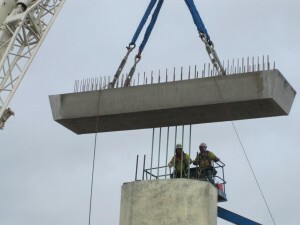 Precast pier caps on conventional columns, curved spliced precast U-girders, and partial-depth precast deck panels provided the needed solution. 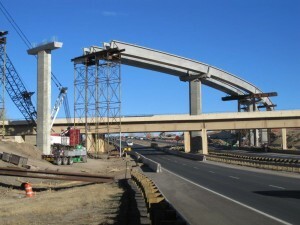 This presentation describes the Colorado DOT’s decision process that resulted in the use of these prefabricated elements, and the design and construction details that resulted in successful completion of the project.